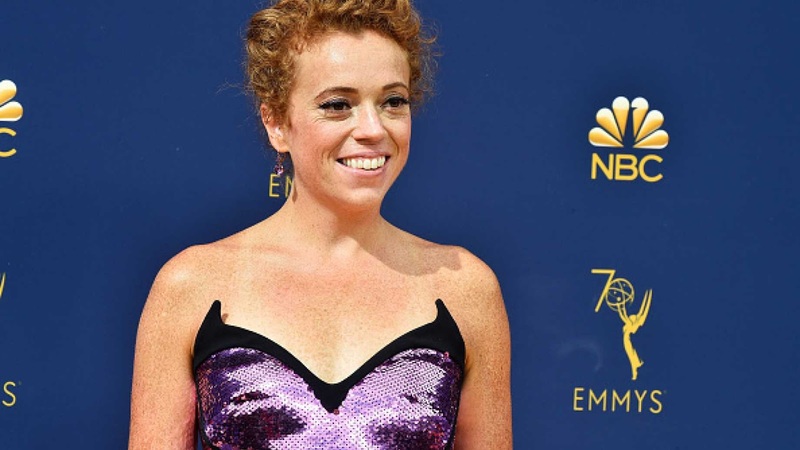 Comedienne Michelle Wolf, the former "Daily Show" contributor that catapulted herself to success by cruelly mocking Sarah Sanders at the White House correspondents dinner, joked she felt a little bit of feminist pride that actresses Lori Loughlin and Felicity Huffman were powerful enough to pull off the college admissions bribery scandal. Speaking at Variety's annual Power of Women luncheon, Wolf joked of feeling "a little proud" that Loughlin and Huffman (two women) were allegedly part of the massive bribery scheme. "It’s nice to have women running schemes where enough money is involved that it flags the FBI,” said Wolf, according to HuffPost. "That’s power." Comedian Michelle Wolf jokes that she was "a little proud" when Felicity Huffman and Lori Loughlin were arrested for their involvement in the college admissions scandal: "It's nice to have women running schemes where enough is money involved that it flags the FBI. That's power"
Last month, actresses Lori Loughlin and Felicity Huffman (of "Desperate Housewives" fame) were charged with participating in a massive college admissions bribery scheme that the FBI code-named "Operation Varsity Blues." At the same luncheon, Wolf also laid into former Vice President Joe Biden, not only for his penchant for inappropriate touching but also for his being a male in a 2020 race populated with women. "We have more women running for president than any other time in history," she said. "Let’s show them as much support as possible before eventually . . . rallying behind Joe Biden. When we’re behind him, he can’t touch us." Wolf also blasted President Trump for deciding not to attend the White House correspondents dinner this year. "You know, he's probably just really busy because he's got to golf and honestly, I don't know if anyone really wants to watch him eat," she said. “He doesn’t have a big enough spine to attend. A person who can’t take someone making fun of them, I don’t really care about." None of Wolf's jokes were out of line for her brand of comedy, which often favors ideological grandstanding as opposed to an actual comedic act. On her now-canceled Netflix show, she even asked God to bless abortion. “Look, access to abortion is good and important," she said on her show. "Some people say abortion is ‘killing a baby.’ It’s not. It’s stopping a baby from happening. It’s like ‘Back to the Future’ and abortion is the DeLorean. And everyone loves DeLoreans." "Pro-life is a propaganda term that isn’t real, like healthy ice cream and handsome testicles," she said, adding that being anti-abortion is being "anti-woman … If these people were actually pro-life, they would be fighting hard for health care, child care, education, gun control, and protecting the environment." "These days, abortion providers have been terrorized by the Right into downplaying their abortion services," she continued. "You should be proud of it. You’re doing a good thing."